Save On High Risk Insurance! Have you been labelled a high risk driver? Hopefully not. 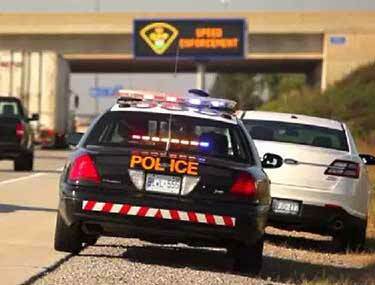 Insurance for high risk drivers in Ontario can be extremely expensive. But, after a couple accidents, tickets, or previous insurance issues, you could develop a poor driving record and find yourself in need of high risk auto insurance. If you’re a high risk driver, using the best auto insurance companies for high risk drivers is paramount. It’s your best opportunity to lower your car insurance premium and get cheap insurance, considering your situation. Here we define high risk drivers, outline the best approach to get cheap insurance for high risk drivers, and answer some of the most common questions about high risk driver insurance coverage. What Are High Risk Drivers? High risk drivers are people who have been deemed to be a greater risk to insurance companies. A high risk driver, sometime referred to as an uninsurable driver, has a higher risk of getting into an accident, filing a claim, or even missing an insurance payment. High risk drivers pay higher auto insurance premiums. Insurance companies label drivers as high risk because of a poor driving record, tickets, accidents, lapse in coverage, and many other factors. If you are considered a high risk driver, you may have trouble getting car insurance. 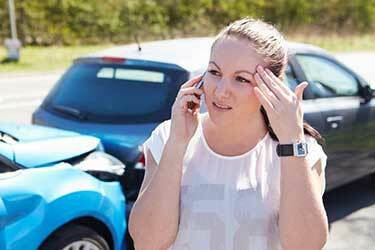 You may need to work with auto insurance companies for high risk drivers. Are You A High Risk Driver? What Makes You High Risk? A less than perfect driving record doesn’t mean you are considered high risk by insurers. Getting a ticket or being in a minor accident happen. While they could increase your rates, you won’t likely be labelled a high risk driver. However, when a couple tickets and/or accidents happen in a short period of time or if you are convicted of a more serious traffic offense, insurers categorize you differently. It’s all based on your risk profile. You’ll be considered a high risk driver if your insurance company determines you are MORE likely to file an insurance claim. You’ve been convicted of a DUI. You’ve filed multiple claims in a short period of time. High risk drivers can take a sigh of relief. It is not a permanent classification. It doesn’t last forever, as long as you take steps to improve your driving record. No insurance : If you have never had insurance, or had a lapse in coverage, you can drop the high risk label by being insured consistently and paying your policy on time. Tickets : If you’ve had multiple tickets, you can get standard auto insurance again 3 years after the date of your first ticket. You also need to keep your driving record clean. Tickets typically stay on your insurance record for 3 years. 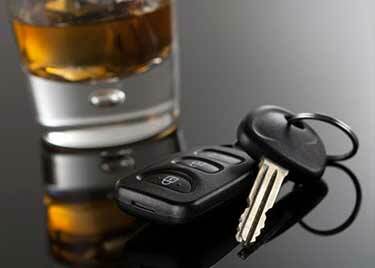 Major traffic violation : If you’ve been charged with a major traffic violation, such as a DUI, it can take 5 years or more to clear your high risk status. Save on high risk auto insurance. Call us to speak with a high risk insurance expert to save more! 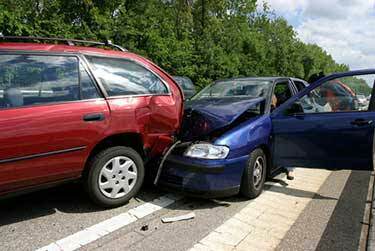 How Do I Find The Best Auto Insurance Companies For High Risk Drivers? If you’ve been designated a high risk driver, one of your best strategies is to connect with an insurance broker. Getting high risk auto insurance is not as simple as getting standard car insurance. If you want to get reasonable rates and coverage, working with high risk insurance brokers is your best option. High risk insurance brokers can advocate on your behalf. They have developed strong relationships with insurance companies who offer insurance policies to high risk drivers. Not all insurance companies offer policies for high risk drivers. Some companies will not insure you if you are deemed to be high risk or have engaged in high risk activities (accidents, tickets) in the past. These high risk insurance companies provide you with coverage while you work on improving your driving record. Over time you can shed your high risk driver label and qualify for standard car insurance coverage. How Does Auto Insurance For High Risk Drivers Work? As you would expect, car insurance for high risk drivers is more difficult to get and it is significantly more expensive. 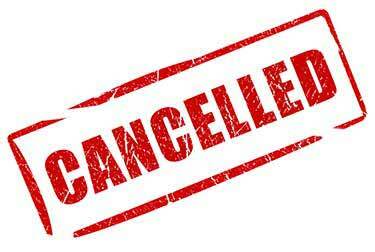 It’s common for some insurance companies to cancel or refuse to renew your policy if you have engaged in high risk behaviours. Many insurers don’t offer policies for high risk drivers. In most cases, you will have to use an insurer that specializes in car insurance for high risk drivers, such as the companies above. These companies offer polices specifically designed for drivers with poor driving records, insurance issues, and traffic convictions. Over time, with a good driving and insurance record, you can eventually move back into a standard car insurance policy. 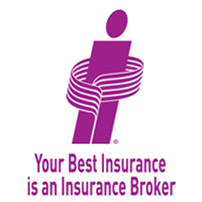 Use an insurance broker : Brokers have access to insurers specializing in insurance for high risk drivers. Broker can help you compare quotes and work toward moving into a standard category of risk. Stay on top of your driving record : Make sure all tickets and accidents are removed from your driving record when they are set to expire. Driver training : Take certified driver training courses if you are a young driver. Additional driving courses could help drivers with poor driving record lower rates. Check with a broker for approved courses. Stay accident/claims free : It’s very important to re-establish a clean driving record. Drive safe, avoid at fault accidents, and stay claims free. Drive a low risk vehicle : If you own a high risk vehicle, such as a sports car, considering trading in your car for a model with a better safety record or safety features. Pay your insurance premiums promptly : Pay your insurance on time. If possible, pay your premium in advance. Most insurers offer discounts when you pay in full. Affordable auto insurance for high risk drivers is relative to your situation. You are going to see a spike in auto insurance rates if you are a high risk driver. So, low insurance rates for high risk drivers only exist when comparing your rates to other high risk drivers. The most effective way to get affordable insurance rates is to compare insurance quotes. After you’ve been labelled a high risk driver, each time your policy comes up for renewal is your opportunity to prove you are keeping your driving records clean. This will help you get lower insurance quotes and save money on your high risk insurance policy. Slowly, year after year, you will be able to get more affordable high risk insurance rates and eventually qualify again for standard insurance coverage. Adding a high risk driver to your policy is a risk. Whether you want to add your teenage driver or another driver with a number of tickets, you will see your insurance rates increase. In some cases, your insurance company will not allow you to add the driver to your policy. If you are considering adding a high risk driver to your policy, speak with your insurance broker about your options. It may be more cost effective for the high risk driver to get a separate auto insurance policy. How Do I Get A High Risk Driver Off My Policy? Any driver on your policy that becomes high risk will increase your car insurance rates. Even if the primary driver on the policy has a clean driving record, occasional drivers with high risk factors can cause your rates to increase significantly. You will need to formally exclude the high risk drivers from your insurance policy. You will need to fill out the Excluded Driver Endorsement, Ontario Policy Change Form, OPCF 28A. This involves getting the policyholder and high risk driver to agree they will not drive your vehicle. If the high risk driver does drive your vehicle and cause an accident, your claim could be denied and you could void your insurance policy. The policy will not pay for damage or injured caused by the excluded driver. You can rehabilitate your driving history and insurance record. It just takes time. You need to re-establish that you are a safe and low risk driver. Allow time your current tickets to get dropped from your record without getting additional tickets or fines. Drive safe and stay insured. It is possible to restore your driver profile over time. Take steps to improve your driving habits. Re-educate yourself. Speak to an insurance broker and be patient. It’s mostly a matter of time before you will be returned to the regular category of risk with your insurance company. How Can I Find An Insurance Company That Accepts High Risk Drivers? An insurance broker that offers car insurance for high risk drivers is your best option to find insurance companies that accept high risk drivers. Brokers can help you compare quotes from multiple companies and find you the best insurance rates for high risk drivers. Yes, you can exclude a high risk occasional driver from your policy by signing an Excluded Driver Endorsement (OPCF 28A) insurance form. Does High Risk Driver Age Matter? 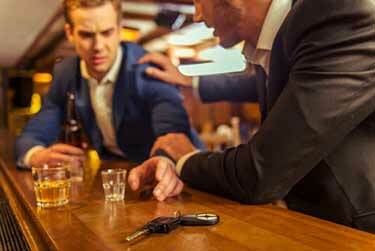 Age can matter for some high risk drivers. Teenagers and young drivers with G1 or G2 driver’s licenses, especially without driver training, could be considered high risk. High risk car insurance rates vary based on many factors. Why you are considered high risk, the type of tickets you have on your record, your insurance history and other things are factored in when insurers set your rates. Speak with a broker to get a quote. How Much Does High Risk Driver Insurance Cost? High risk driver insurance on average costs double or triple the cost of a standard car insurance policy. If you are considered high risk, work with a broker to get an accurate quote. Are you a high risk driver? Get a quote for high risk auto insurance in Ontario. Our brokers will help you find ways to save.